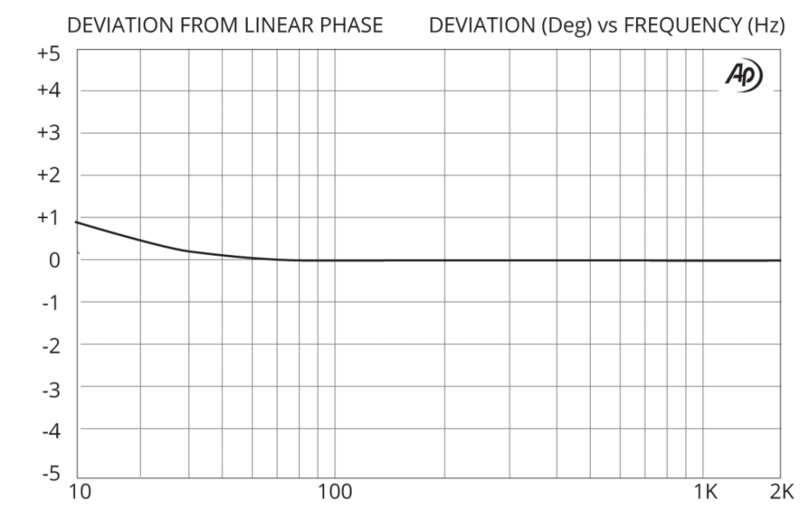 The Iso-Max SUB-2XX is a two channel low-frequency isolator created specifically for sub-woofers to eliminate hum and buzz caused by ground loops in balanced audio systems. 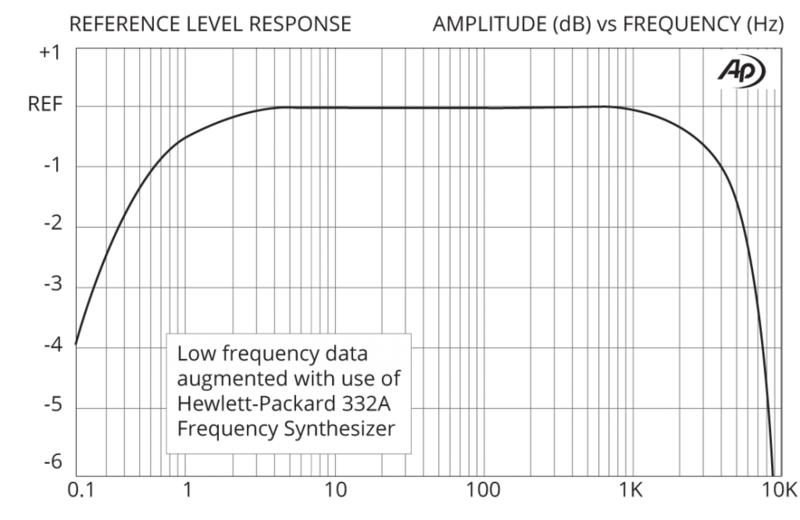 Simply connect the SUB-2XX between the source and the input destination to eliminate ground loops, electromagnetic interference (EMI) and RFI problems. The SUB-2XX will quietly go to work without introducing distortion, phase shift or artifact of any kind. These combined features make the Iso-Max SUB-2XX ideal for balanced home theater systems, professional studios, PA systems and the most demanding post production facilities. Many sub woofers have stereo inputs with an internal mono summing mixer. 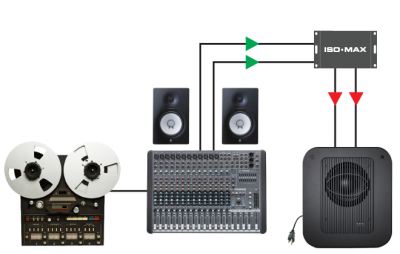 Send the balanced output from your playback system to the SUB-2XX and the output to your sub. The Iso-Max SUB-2XX will faithfully deliver the signal without smearing or choking. 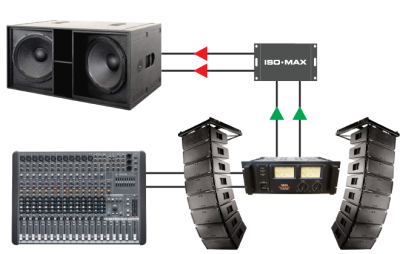 The use of sub woofers in a PA system has become common in most touring setups. 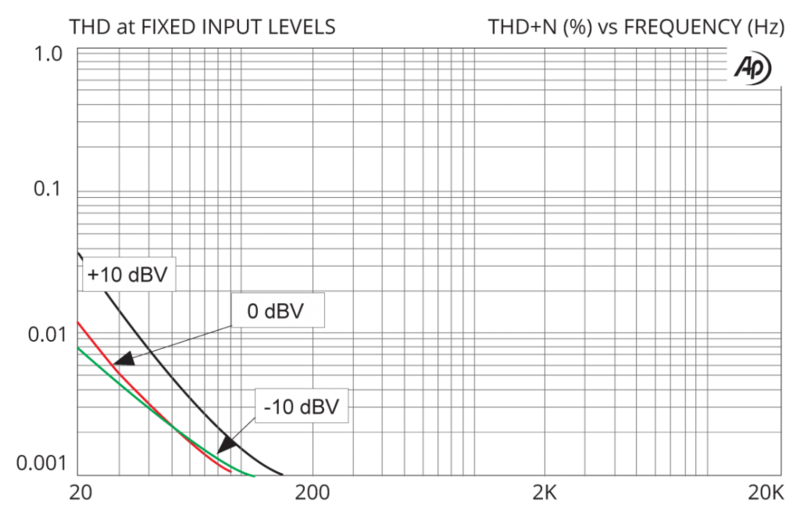 Use the SUB-2XX to isolate the sub-woofer amplifier racks to eliminate ground loops without affecting the audio signal path. 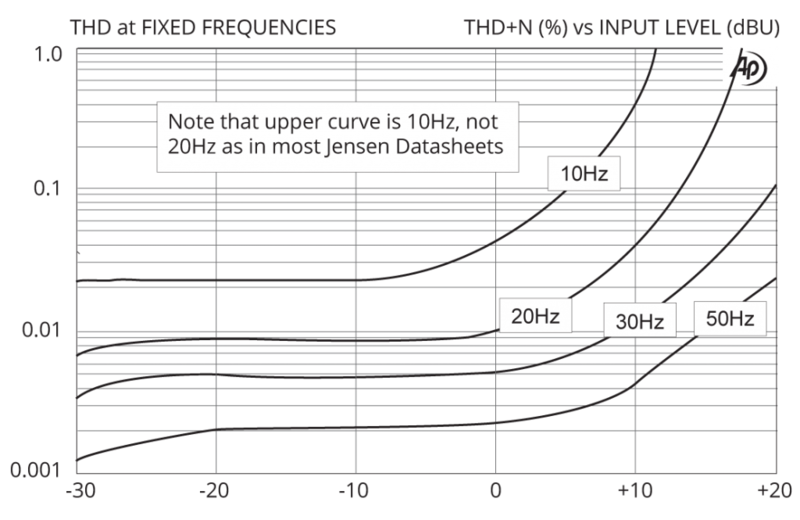 The SUB-2XX is able to withstand tremendous signal levels without distortion.